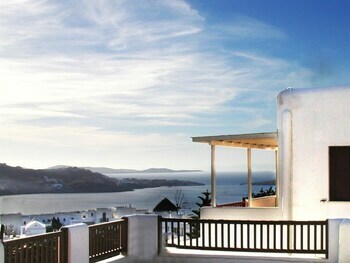 This cosy hotel in bright, Cycladic style is perfectly located to explore Mykonos town. 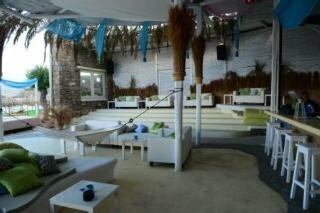 Situated in a quiet area itself, it is only 100 m away from the famous nightlife and entertainment centre. 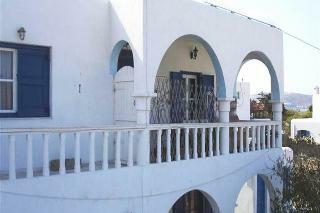 The beach is just a short stroll away, the national airport about 3 km. Features of the hotel include airport shuttle and free on-site parking. 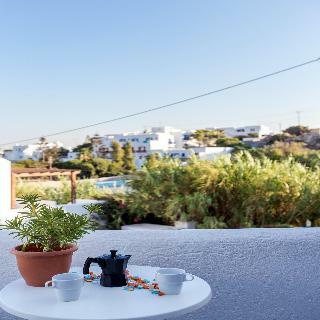 5 kilometres from Mykonos town and 6 kilometres from the nearest airport, this vacation complex, situated in the community of Ornos, provides excellent accommodation for the perfect Greek vacation. The self-contained apartments are all simply, yet elegantly decorated, and contain all the features necessary for a home-away-from-home feel. Guests can prepare a meal according to their own taste in the fully-equipped kitchenettes and enjoy a delicious dinner in the bright and airy living-dining room area. With an ensuite bathroom and an individually adjusted air-conditioning, there is really nothing else one might desire from a holiday accommodation. Just 3 kilometres from the cosmopolitan centre of Mykonos Town and 5 kilometres from Mykonos Airport, yet in the tranquil Agios Stefanos area right by the sandy beach, this charming hotel combines traditional Cycladic architecture with all the contemporary amenities and services needed for a truly comfortable vacation. The children's playground and conference facilities represent the owners' ambition to cater both to tourists on holiday and busy work travellers alike. Guests can alternate days at the beach with lounging by the elegant outdoor freshwater pool, while staying connected thanks to the Wi-Fi Internet access available throughout the premises. 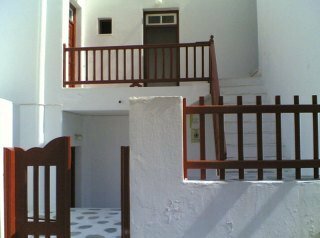 A typical Mykonian style complex featuring 14 apartments and studios equipped with air conditioning, kitchenette, refrigerator, safe deposit box, TV and Wi-Fi Internet Access (free of charge).From the date of: 31/12/2017 Service Tax payable directly at the hotel.From the date of: 01/11/2018 City Tax payable directly at the hotel. 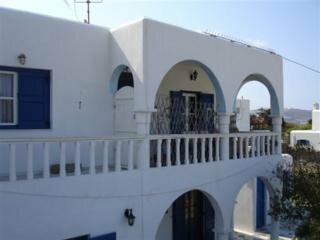 The architecture of this venue is a typical representation of the Cycladic-style, with big arches and straight lines and bright colours. Everything in the style reminds of a true Greek postcard-like atmosphere and the venue success in creating that pleasant feeling in all of its guests. 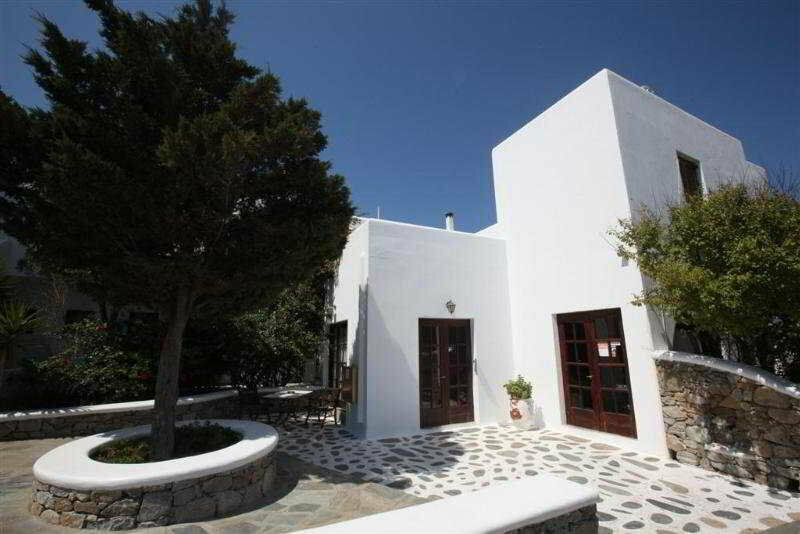 Located in Glastros it is just less than 1.5km from the Platis Gialos Beach. The staff can arrange car rental services in order to explore further beaches such as Kalafatis and Ftelia, both within a 15-minute drive. 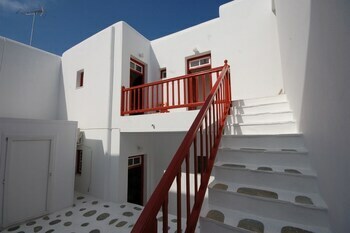 While Mykonos Airport and the port are 2 km away. 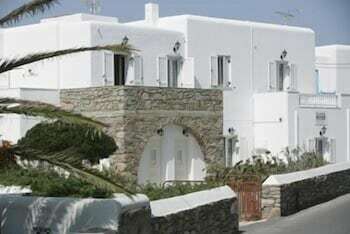 For those that prefer the public transport, there is a bus stops at 150 metres and daily bus service connecting to the town of Mykonos. Each of the bright, air-conditioned rooms opens to a nice balcony that overlooks the garden and offers the perfect setting for watching the sunset. 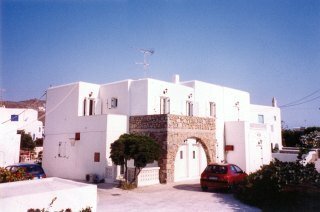 Hotel Marianna 2* este un hotel cu doar 25 de camere, construit in stil cicladic, situat la doar cativa pasi distanta de celebrul si cosmopolitul oras Mykonos. Atmosfera prietenoasa a hotelului va va face imediat sa va simtiti bineveniti si relaxati. Incepand cu 01.01.2018 a fost introdusa taxa locala. In functie de clasificarea unitatii de cazare, aceasta variaza intre 0.5eur â 4eur/ camera/ noapte si se va achita de catre turisti la fata locului!